Submit a request for website updates or digital signage. For new profiles, you can download the profile template and attach it to this form. NOTE: For HPA 1 and 2 buildings, click here. Download this sample slide for specific dimensions. Slides reflecting a date/deadline will display up to that day. Slides that are not date specific will display for 30 days unless a specific expiration date is requested. *Event slides display exclusively during the event. It is highly recommended to request event signage at least 3 weeks in advance. Accepted file types: jpg, png, ppt, pdf. Accepted file types: doc, docx, pdf, jpg, png, ppt. Please provide detailed instructions so your request can be handled efficiently. This request form is for website content updates and digital signage only. 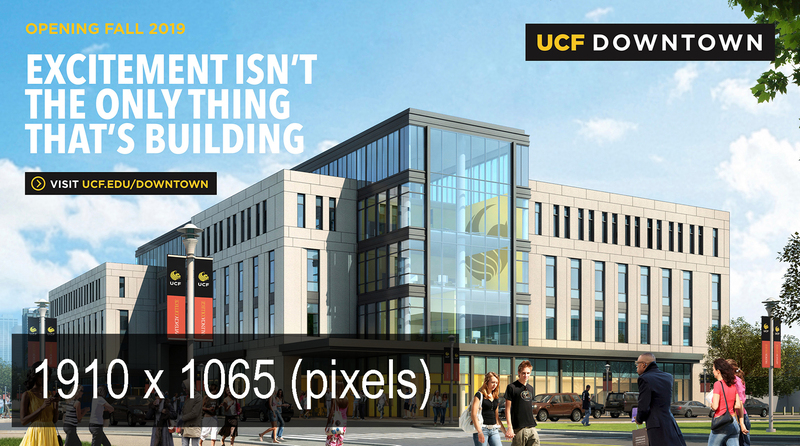 If you need technical support for classrooms, computers, or software, please contact UCF IT. IMPORTANT: When providing PDF files, please check them for ADA Compliance (accessibility). You can do this using Acrobat's built-in tool. Find detailed instructions here.